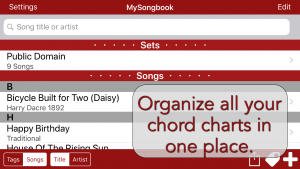 MySongbookApp.com – Music binder app used by thousands. MySongbookApp This iOS and Mac App holds your music collection. No more carrying around your heavy folders and music books, your iOS device is now all you need for your chord charts and guitar tabs. Take your entire songbook of chord charts wherever you’re going to be performing or practicing. Seline Redux: Seline Redux Synth is the revitalization and continuation of the Seline line. A feature-rich synthesizer for hours of fun or making incredible tracks. MIDI and AudioBus 2 support included. Now with 3 keyboards, categorized sounds, and Dual Multi-FX controller. MINT.io: Music In No Time, Electronic Groovebox Synthesizer. Mind-blowing Groovebox for making Electronic music in real-time. This is one of the most impressive mobile music apps ever made. MINT.io is a revolutionary scale-based, intelligent electronic music production machine, with beat, chords, and 3 synths! Futulele: Simply the best iOS Ukulele synthesizer in the world! Feel the summer breeze with Futulele, the only digital Ukulele you’ll ever need! It looks amazing (Retina graphics), sounds awesome, offers fully automatic play modes, great interface and even can be extended via the optional Futulele Remote app. OMGuitar: Fantastic Guitar Synthesizer. The best mobile guitar emulation ever created. It is a synthesizer with a unique interface and new-generation sound hybrid engine that allows anyone to produce realistic guitar sounds. Also, comes in a 12-stringed version with Pixabay integration. OMGuitar 12: Newest member of the Amidio family. A 12-stringed version of OMGuitar with 3 new 12-string guitar models, new strum patterns, and selectable backgrounds from Pixabay! Touch DJ Evolution: Different from all DJ apps out there (except those that have tried to copy the UI), and that’s why it brings such fantastic results. Touch DJ Evolution offers absolutely new and fresh approach, giving the ability to directly manipulate tracks.